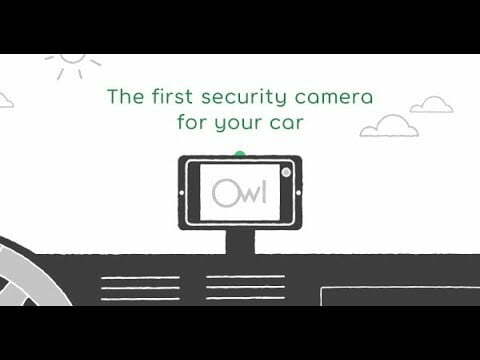 If you’ve ever noticed an unexplained dent or ding on your car, the Owl Car Cam may be able to help you track down the culprit. 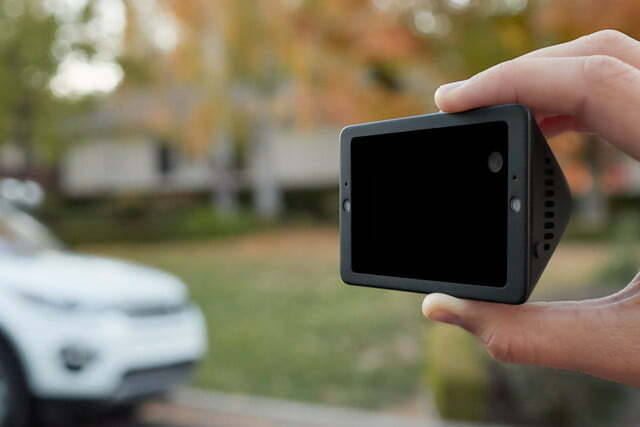 This new always-connected camera that monitors your vehicle from both the inside and out, can notify you of any safety event, such as a break-in or crash. 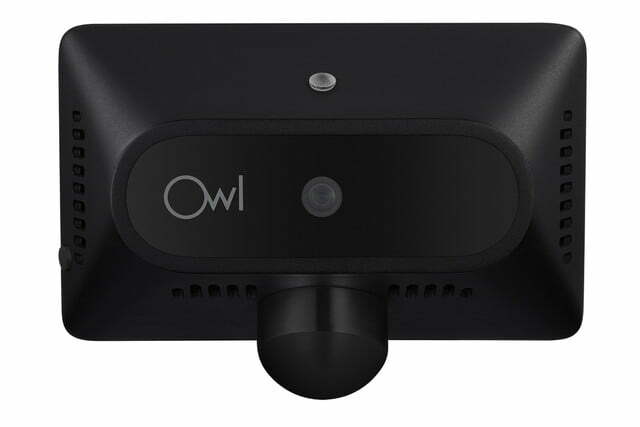 Using LTE connectivity, the Owl Car Cam can instantly remotely send video of events to the Owl Cam app on your phone. Although the camera is always recording, it only retains and uploads video that is triggered by a safety event or through a voice-activated feature that allows you to capture and tag memorable moments, like a meteor streaking across the sky or an in-car sing-along during a road trip. You can also set the camera to record live continuously, if you wish. Videos are stored locally — up to 24 hours of footage — which is then recorded over when it hits the limit. 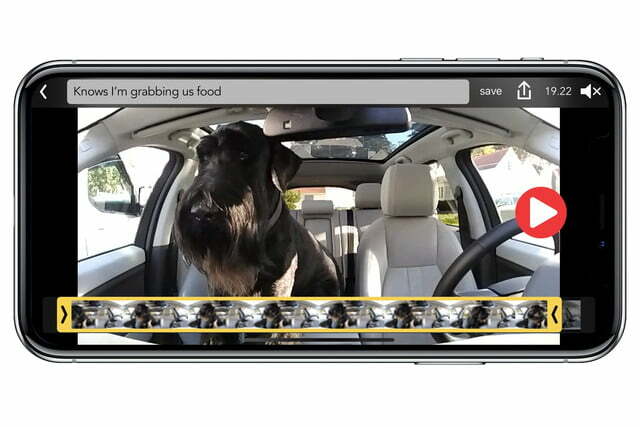 With LTE service, you can connect to the camera to see a live view or play back recorded footage. LTE service is not required to use the camera, but you lose some functionality. Besides monitoring your vehicle for theft and accidents, you can also capture interesting moments from the road, simply by using a voice command. The Owl Car Cam also has several interesting features to guard against break-ins. 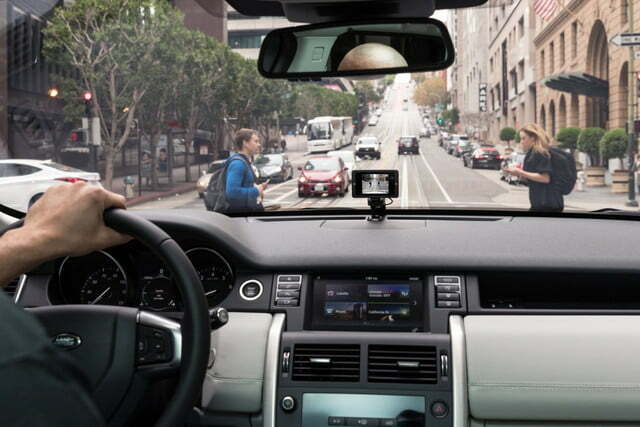 Since the camera is paired to your phone, it knows when an authorized driver is approaching your car. 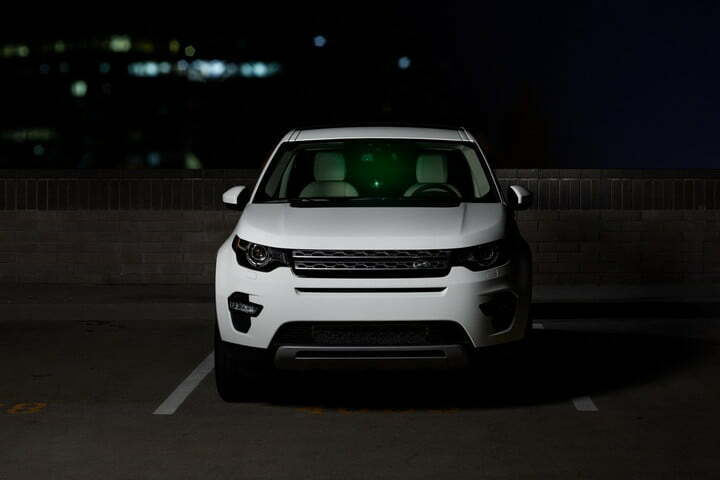 If someone attempts to break into it, two LED floodlights are activated and you’re immediately notified via the app. You’ll be able to watch a live-feed of inside the vehicle and use a built-in intercom to let the intruder know that you’ve contacted authorities. The Owl Car Cam has lights that turn on to help you locate your vehicle or in case of a break-in. When developing the Owl Car Cam, CEO Andy Hodge, who previously led development teams at Apple (iPod), Microsoft (HoloLens), and Dropcam, told Digital Trends that user privacy was a key concern. 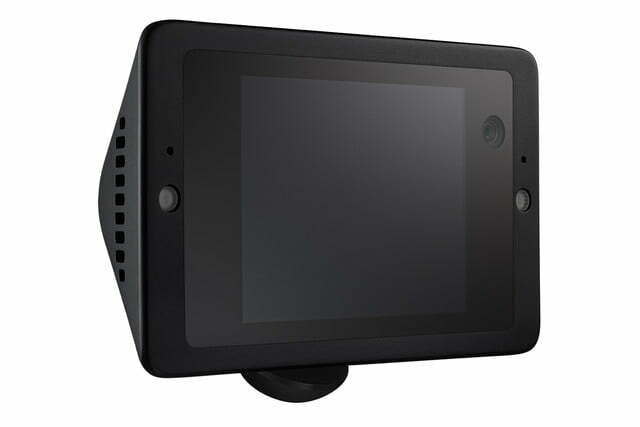 As such, the camera features an interesting privacy feature that restricts video access to the associated driver. For example, if you share a vehicle with your significant other, you will only be able to access video recorded when you’re behind the wheel. As for specs, the device uses two 4-megapixel, 120-degree cameras, one on either side — a 1440p camera on the front (outside), and a lower-resolution 720p camera on the back (inside). The idea here is that it’s more important to get a higher quality image of what happens outside the car. However, resolution dumbs down to 480p when you’re in 24-hour live-recording mode. 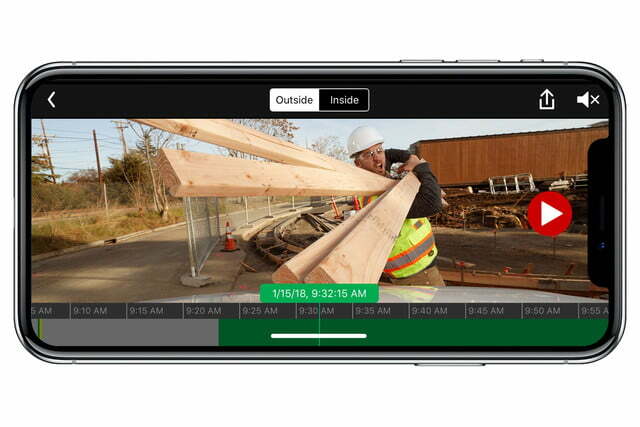 Video frame rate is 30 frames per second, but it uses the HEVC codec; newer iPhones running the latest version of iOS will support this codec, but you might have issues with playback on older phones or computers. 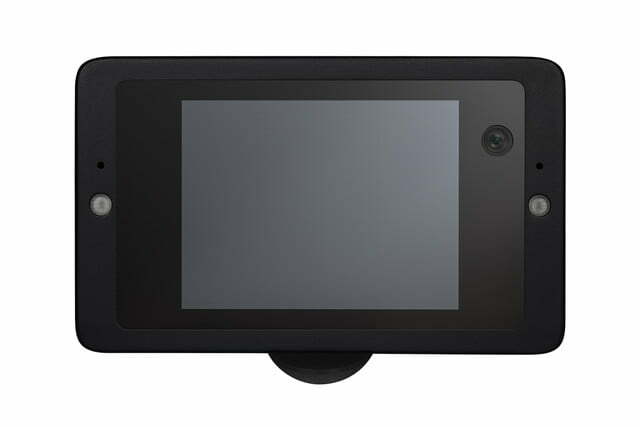 The display is a small 2.4-inch, touch-capable LCD. In addition to various sensors to detect movement, the Owl Car Cam has GPS, Wi-Fi, and Bluetooth, as well as the aforementioned LTE radio. The device is lightweight and fits in your palm. It has a mono speaker, but it captures audio in stereo. The whole thing runs on a 2.4GHz, 8-core processor with 3GB of onboard memory. There are some limitations to the Owl Car Cam. You’ll need to make sure your vehicle has an OBD port under the steering column, since this port is used to power the device. If your car was manufactured after 1996, you’ll likely be in the clear. 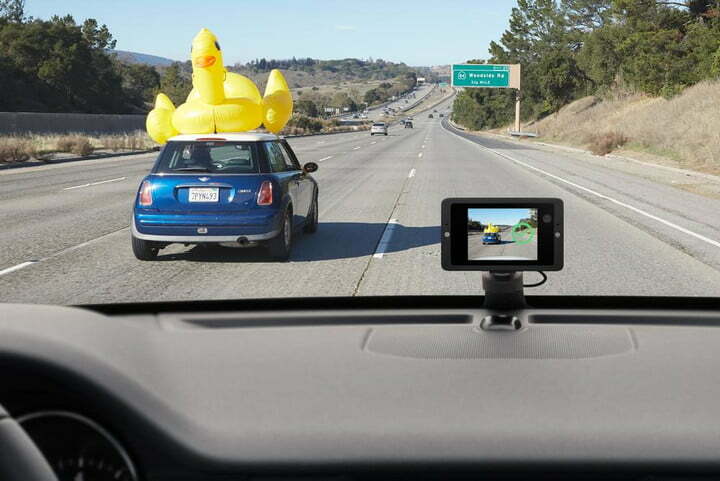 More limiting, however, is the Owl Car Cam’s compatibility with smartphones. Currently the camera only works with iPhones running iOS 11 or higher. When we talked with Hodge earlier this month, he mentioned that the company hopes to have an Android app available in the future, but did not provide an estimate for its release. We had an opportunity to see the Owl Car Cam in action earlier this month and were impressed. We spent about an hour with the camera on a busy New York City street and were able to witness it automatically capture several different events. Both the camera and app worked perfectly and the video quality was excellent. In many ways it’s similar to a camera you would use to monitor your home. While the Owl Car Cam is primarily meant to act as a security device, or evidence to prove you’re not at fault during an accident or traffic violation, we like the social sharing abilities. 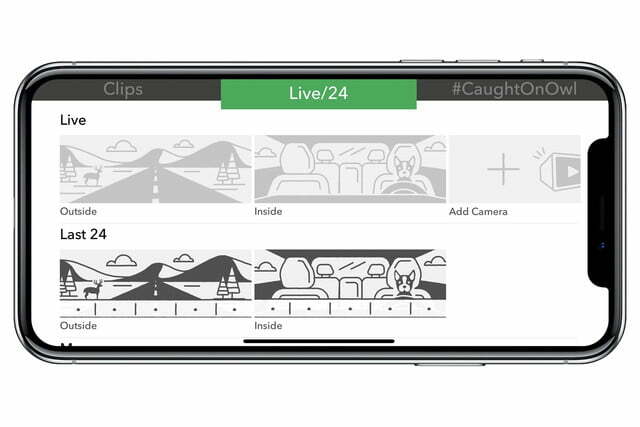 The Owl Car Cam allows you to capture and tag any short event in the vehicle with your voice; this event is then transferred to the Owl Cam app where you can easily share it on any social media platform. 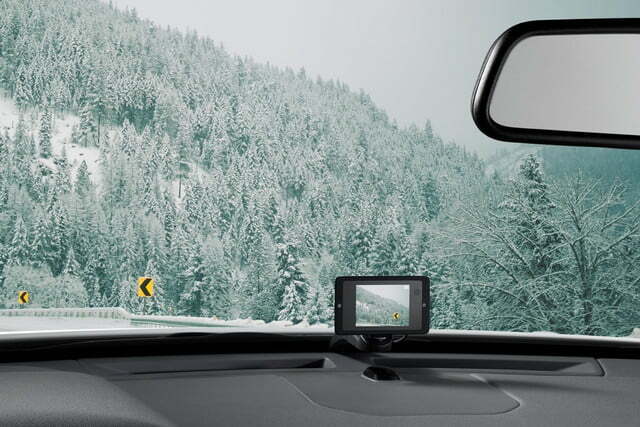 There is a fun aspect to this camera: With its inside and outside recording, you can not only capture the outdoor scenery during a drive, but also the reaction from the people inside the car. 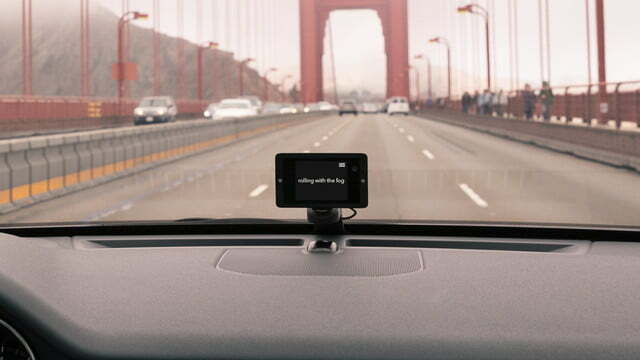 We think the Owl Car Cam could benefit drivers for car-hailing services like Uber and Lyft. However, since the camera doesn’t record what happens behind the car, you can’t capture situations like a fender bender caused by a car hitting yours from behind, whether you’re on the road or parked. With so many accidents occurring at the rear, obviously, a dashcam like this is limited in capturing those events. Currently you can only purchase the Owl Car Cam on the Owl website. During our interview with Hodge, he mentioned the company would like to offer the product in major retailers later in the year. 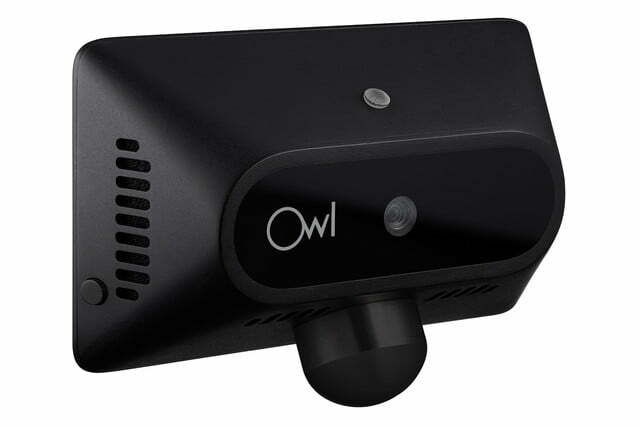 The Owl Car Cam currently sells for $349, bundled with a year of LTE service and video hosting. The company plans to sell the camera later in the year as a standalone device for $299; monthly service will be available for $10. The LTE service includes 60 minutes of live view or 60 video alerts. Owl has not said what would happen if you go over the limit — whether it just stops recording, records over older footage, or charge a fee for extra storage — but this could be another limiting issue for some users.